The market for fishing reels is inundated with various different brands and types. Lots of baitcasting reels are also available. Therefore, purchasing the best baitcasting reel will be a daunting task. Spinning or Baitcasting: Which is Better? Which fishing reel you need, spinning or baitcasting? In fact, this is a very common debate between anglers. Both these reels have advantages and disadvantages. Thus, you should keep them in mind while selecting a fishing reel. You can select one on the basis of your strength and performance. The bait casters or baitcasting reels are fishing reels, which are ideal for veteran anglers with lots of fishing experience. Tweaking is essential while using these types of spinning reels. These are great for catching big fish that requires lots of experience and mastery to catch. You need to rotate the spool of baitcasting reel as soon as you cast. It means the inertia has to be strong enough for moving the spool while maintaining balance. Baitcasting reel offers you more leeway with the way you control the entire cast. Thus, you can try to catch in a particular area with more accuracy depending on your knowledge of fishing. Hours of practice are essential for placing your lure in the desired place for catching the best fish. Most baitcasting reels are very powerful because they are designed for catching big fish. You can drop the lure on a dime, so you need not worry about bad casts. You can also retrieve the snag at anytime and anywhere as per your wish. If you have complete freedom over your fishing rod, you can enjoy lots of advantages. But it requires proper knowledge and mastery for fishing. 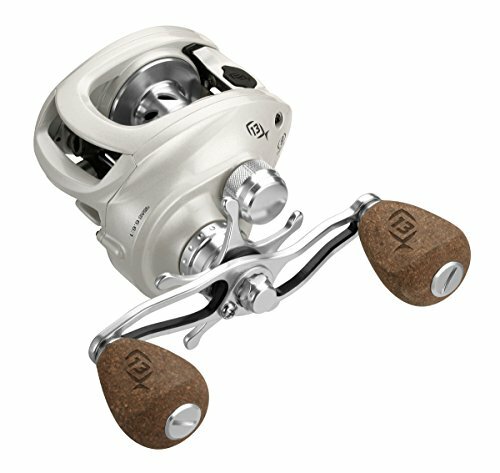 ​You can use a baitcasting reel depends on your fishing style. Baitcaster is ideal for those who engage in fishing with bass lures. 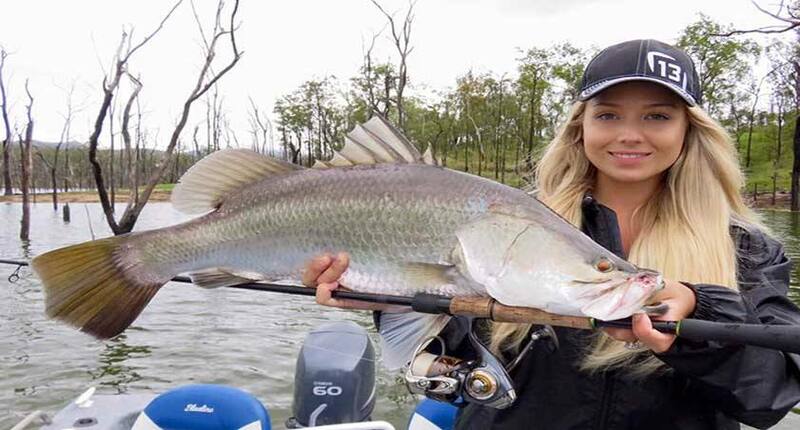 However, you can use spinners or other types of reels if you target fish with lighter lures. 13 Fishing introduced its new baitcasting reel at the ICAST show in 2015 in Orlando. Soon after, it was available on the market. The inception reel of 13 Fishing comes with a bunch of great features, which will surely attract your attention. 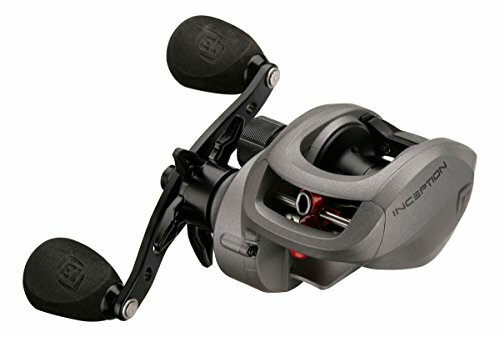 The Inception reel of 13 Fishing is a baitcasting reel that comes with an 8-ball-bearing casting system. An HD aluminum frame together with graphite side plates is the other specialties. The drag of this reel consists of oversized drag washers (multi-material), which can provide you impressive 18-pounds of drag. The handles are lightweight but gripable and durable. Gripable EVA knobs are the other peculiarities. The tackiness and paddles of the grip are really wonderful. Both right and left-hand models are available. The gear ratios are 8.1.1 and 6.6.1 respectively. The appearance of this reel is great on the rod. The matte finish is very durable. It can provide you a nice feeling while fishing. The handles of this reel are comfortable for fishing all the day. The Inception reel is a real workhorse for lots of anglers. The casting ability of this fishing reel is as same as in the 13 Fishing line. It gives you a great accuracy and distance. 13 Fishing Inception is a feature rich baitcasting reel that born with excellent perfection. It is designed for delivering greater performance as per your requirements. A rigid aluminum frame and reinforced graphite side plates are the peculiarities of this reel. It is extremely strong, so it is helpful for handling largest fish at highest level of competition. This is really a fish-catching workhorse, which is perfect for all types of anglers with different skill levels. It comes with 8 bearing system. Besides, the reel comprised of 5 stainless steel bearings, anti-reverse bearing (instant stop), and 2 high spin bearings (Japanese). Thus, it can deliver fluid functioning consistently. It is equipped with high-quality cutting gearing (Japanese Hamai), which is helpful for providing the transition of power smoothly from the handle. The drag system of this reel is highly advanced. Drag washers are oversized and used multi-material for making it. If you want to create a strong foundation in your fishing game, 13 Fishing Inception is the best option. This is a versatile baitcasting reel that is ideal for casual weekend and tournament fishing. Low profile design and lightweight body provide you lasting comfort.